Kristof Van Grysperre is a successful conductor and artistic director who presided over the presentation of Verdi's AIDA for the Pacific Symphony Opera Focus Group in 2017. 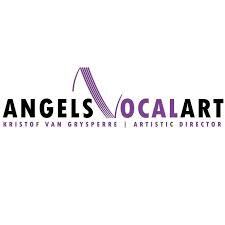 Kristof Van Grysperre serves as the artistic director at Angels Vocal Art, where he provides artistic leadership and conducts performances. Located in Pasadena, California, Angels Vocal Art offers educational services and performance opportunities for talented young singers. The organization, which was founded in 2006, also seeks to increase awareness of opera and ensure its future. To that end, Angels Vocal Art offers a range of portals that include Opera Intensives, the Emerging Professional program and the Studio Artists program. A six week program, the Studio Artists initiative caters to collegiate level singers. The program focuses on music and acting skills while helping students prepare for a career in opera. The Studio Artists initiative, meanwhile, offers students roles in fully staged opera productions while focusing on character exploration and development. The program also offers the opportunity to develop an audition package that includes promotional materials and a professional audition video. Kristof Van Grysperre is a skilled conductor who holds degrees in orchestral conducting and keyboard collaborative arts from the University of Southern California. Formerly a resident conductor at the Long Beach Opera, Kristof Van Grysperre serves as artistic director of Angels Vocal Art in Pasadena, California. To augment his professional work, Van Grysperre regularly attends the Classical Singers Music Convention to promote Angels Vocal Art and to offer scholarships to CS competition participants. The annual event is administered by CS Music, a media platform that also publishes Classical Singer magazine. The 2019 Classical Singers Music Convention is scheduled for May 23-26, 2019, at the Sheraton Grand Chicago. Each year, the conference welcomes hundreds of opera, crossover, and theater singers of all skill levels. 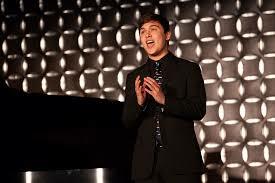 Singers that attend the conference have the opportunity to compete for scholarships and cash prizes while attending master classes and expert presentations. The event also features an Audition Feedback Experience (AFE) that offers real-time coaching and feedback. In addition, over 100 exhibitors ranging from universities to musical vendors attend the event. For additional information on the CS Conference, visit www.csmusic.net. An orchestral conductor in Southern California, Kristof Van Grysperre serves as artistic director with Angels Vocal Art. Focused on developing the talents of opera singers, Kristof Van Grysperre has directed a number of well received operatic productions. 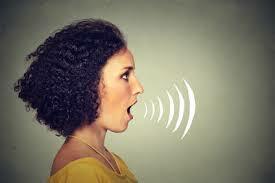 One of the foundations of singing involves controlling vibrato, or the minute variations of pitch that arise from allowing the pharynx, or the part of the throat just behind the nasal cavity and mouth, to fully open. At the same time, the vocal cords should be closed, which allows them to efficiently resist airflow and adds a sense of resonance to the sound produced. This is accomplished through making the vocal folds coming together and vibrating in a way that is free of forced breath pressure. This can be difficult for many singers to conceptualize, as the component parts of the vocal cords, and how they interact with the breath, are hidden from sight. One way of accessing the proper vocal closing, or resistance to breath pressure, is to sustain the "ng" sound, which utilizes specific muscles that hold back air before it exits the mouth. For most singers, working with an experienced voice instructor is the most effective way of accessing those parts of the voice that add vibrato and a sense of depth to a given note. As a native of Belgium with roots in France and artistic director of Angels Vocal Art, Kristof Van Grysperre provides leadership in both educational programs and performances. He has responsibility for selecting venues and major themes for Los Angeles’ only summer opera festival. Auditioning singers and casting talent, Kristof Van Grysperre also conducts the full range of orchestra rehearsals and performances. The 2018 Opera Intensive & Festival features a full production of Leonard Bernstein’s Candide as well as various beloved scenes from celebrated operas. Past highlights included a Gran Gala di Verdi and an abridged production of La Traviata, all with full orchestra. Also passionate about discovering and introducing noteworthy new works that have social resonance, Van Grysperre conducted the Southern California premiere of the opera Anya17, which drew attention to human trafficking. From 2013 to early 2018, Van Grysperre held leadership responsibilities with the Long Beach Opera and conducted select opera productions, including The Consul (2017). In demand as a singers and conductors’ coach, he has worked with organizations such as the Aspen Opera Theater Center, the Bakersfield Symphony Orchestra and the California Conducting Institute. Dr. Van Grysperre holds concert diplomas in piano and chamber music earned at the Royal Music Conservatories of Ghent and Liège in Belgium. As a Fulbright recipient, he completed a master’s degree in orchestral conducting and a doctorate in keyboard collaborative arts at the University of Southern California.